Emily Noton is an Alberta-born ballet and contemporary artist whose international career has taken her away from Alberta for much of her adult life. She is in demand for her highly effective musical and technical approach to teaching ballet and her innovative contemporary ballet choreography. She received early training from Hanne Livingstone, Janet Hagisavas, Shirley Agate-Proust and Bill Thompson of Citie Ballet where she started dancing at a young age before leaving Edmonton. Highlights of her career include performing with Graham-based Saba Dance Theatre, LiNK Contemporary Jazz Dance Company and Brice Mousset in New York and with the Rebecca Davis Dance Company in Philadelphia. While in New York, she trained and received mentorship with notable dance artists such as Lisa Lockwood of ABT, Gelsey Kirkland, David Howard, Peff Modelski, Desmond Richardson, Nancy Bielski, Ezra Caldwell, Cherice Barton and Oliver Steele. Emily also spent some time working with several ballet schools in Japan and has taught at Broadway Dance Center Tokyo and New York. In addition to ballet and contemporary stage seasons, Emily has enjoyed working commercially; she’s been involved in the Vancouver and New York film industry working with artists such as Zach Galifianakis and models for the renowned dance photographer, Lois Greenfield, while holding sponsorships from Bloch and Sansha Dancewear. 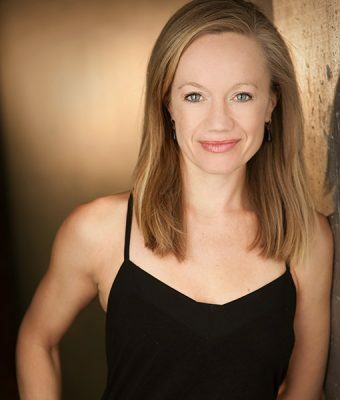 Recently she has been adjudicating across North America and has been a core member of the ballet faculty at Harbour Dance Centre in Vancouver while continuing her professional development with the American Ballet Theatre in New York. She is currently working on a Master of the Arts degree in dance pedagogy, already holding a B.A. and a diploma in Arts Administration. She has recently returned to the province and is thrilled to be working with Ballet Edmonton. Copyright ©2019 Ballet Edmonton. All Rights Reserved.